Superb new alarm which works in conjunction with the ATTX reciever box. Rubberized finish, built in transmitter, no buttons or knobs, 100% watertight, ultra compact and lightweight, low battery warning. Hardcase and battery included. To use these alarms you will also need the ATTX reciever available separately. 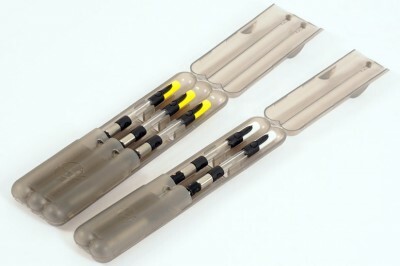 These are ready-to-go indicator systems that are available in all six colours. You get a head with weight, magnetic hockey stick and TWO chains. 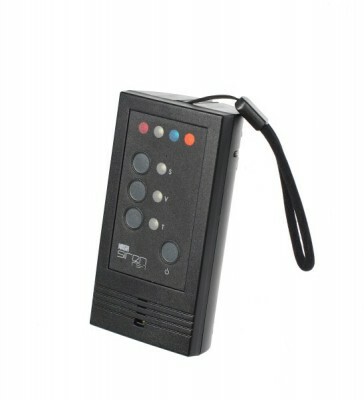 The reason that the kits are supplied with two chains is so that you can use your indicators with any type of conventional bite alarm. The chains with short steel extensions are suitable for Delkim-sized alarms, whereas the chains with long extensions are for smaller, Neville-type alarms. These kits represent real value for money because they contain everything apart from isotopes, which are available separately. The only question is, which colour will you go for?? The ultimate in protection for your Stow indictors. 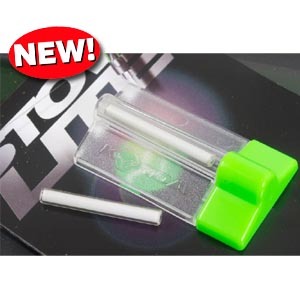 These magnetic protective cases have been custom designed to hold your indicators securely. The heads clip into the boxes and the magnetic chain extension attaches to another magnet at the base of the box - ingenious! We have produced two-rod and three-rod versions. If you''ve got Stows, you''ll want these cases! An extremely versatile, top quality bobbin/hanger indicator designed from scratch to fulfil all the needs of the expert Carp angler. Available in 4 sizes to cover a variety of fishing situations and conditions. Dual position precision line clip moulded in reinforced nylon - will not damage your line. Extended 'antennae' will grip line, thus allowing the angler to fish slack lines and avoid wind bleeps for the ultimate in presentation. Tight lines - with or without back leads - can be fished as normal. Simply pass line through the clip for a running bobbin. Supplied with New 15cm Anti-Rust Ball Chain. 30cm Anti-Rust Ball Chain is also available. Dedicated Bug Betalights are also available in Green, Red, Blue, Purple, White and Orange. Tritium-Max Small Betalights are also suitable for Bug Indicators. 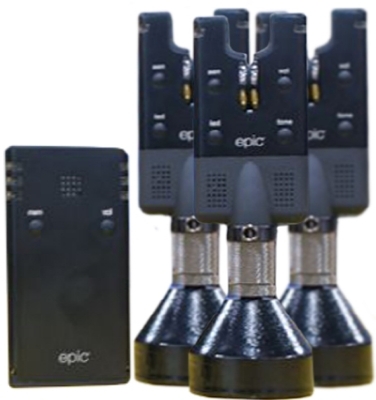 We are proud to present to you the double award winning Siren Bite Alarms, The most advanced bite indication system in the world. 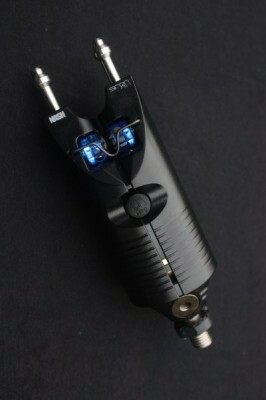 "Best Innovation " in the Angling Times awards of 2010"
" The best new tackle item of 2010 " Carp Talk awards 2010. Voted for by the readers of Carp talk. The result of a tri- development co-operation with Kevin Nash, designing features to meet on bank criteria with one of the UK''S leading electronics and radio technology companies and manufactured by a world class electronics corporation, specialising in electronics components for German and Italian high performance car brands, the armed forces and the space communications industry. This unique partnership merges unrivalled carp fishing innovation with leading UK research and devlopment. Bulletproof reliability - Virtually Indestructible , high impact , water resistant , polycarbonate casing ( the material used for riot shields ) that ensures trouble - free operation and total performance in all weather conditions. Rock Solid Rod Support - Screw in stainless steel snag ears ensure rock solid rod location in margin and snag fishing situations. Back –Lit Rod Guide - Night diffused , low intensity rod location illumination, eradicating the need for expensive beta lights. Stealth Mute Function - On/off control with stealth mute function to mute head whilst positioning rod and adjusting bobbins or to silence head completely. The function ensures you can adjust your set up quietly without fear of spooking carp or disturbing neighboring anglers. The RS-1 is the first alarm system with two - way radio providing volumne, tone and sensitivity functions that are operated remotely via the receiver enabling you to change your volumne , tone and sensitivity settings from the comfort of your bivvy. With traditional alarms you have to operate the function by adjusting knobs on the head. Adjustment knobs are potentially one of the biggest causes of water penetration and failure of the head. At home you wouldn''t leave your sofa to manually adjust your television, so why should you with your bite alarms ? Imagine this scenario - you are struggling in your sleeping bag on a cold , rainy night when the wind picks up, causing your bite alarms to start falsely bleeping annoyingly. With current bite alarms you are forced to get up and venture into the rain and freezing wind to adjust the sensitivity; you go back to bed and the head is still bleeping, with another gust of wind as the adjustment is not correct. With the RS-1 you can operate and adjust the sensitivity (plus indeed the volume and tone) until perfect, whilst staying warm and dry in your sleeping bag. Five volume ranges, set by operating the remote. Once you have selected your preferred volume setting, this is memorised in the head even after it has been switched off. Five tone ranges, set by operating the remote. Once you have selected your preferred tone setting, this is memorised in the head even after it has been switched off. Revolutionary bite sensitivity detection, sensing speed rather than the distance of line movement. This technology negates false indication and achieves optimum sensitivity even in windy conditions (whereas other alarms relying on line movement sensing become ineffective when detecting single bleep pick-ups). To explain simply – the windier the conditions the more you have to desensitise traditional alarms (using sensitivity controls) to avoid false bleeps. With some brands you may have to allow 6” or more of line to travel before your indicator signals. With the RS-1, whatever the conditions the amount of line movement remains at approximately ¼ inch, enabling you to identify single bleep pick-ups from rig wary carp. To protect your valuable rods and reels (as well as your RS-1 system), should a thief turn off the head in an attempt to stealthily steal your tackle, your in-bivvy remote will emit a 10 second theft alarm warning. Should the thief mute your RS-1 head, then the in-bivvy remote will emit a short 3 second theft alarm warning. 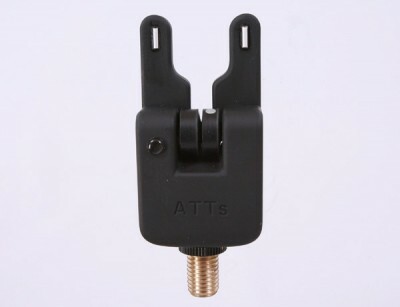 The New ATTS Bite Alarms are the ultimate tackle tarts item. However you don’t need to be a tackle tart to appreciate and make use of their unique features. 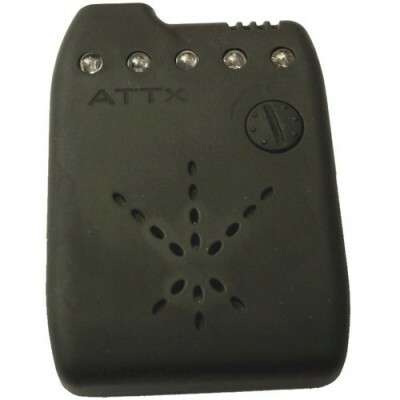 The ATTS’s most unique feature is that it is the first silent alarm, the audible alarm is given by the ATTx V2 Remote receiver. There has been a lot in the media recently about sound travelling down the line and spooking the carp the ATTS will prevent this. The ATTS is the smallest bite alarm on the market and along with it’s silent function and matt black, soft rubber touch finish, the ATTS is the ultimate stealth alarm.